In R. (Miller) v. Secretary of State for Exiting the European Union  EWHC 2768 (Admin) judges had to decide, as a matter of law, on the constitutionally correct procedure for deciding whether and when to notify the President of the European Council that the UK intends to leave the EU, pursuant to Article 50 of the Treaty on European Union. This legal question is fraught with difficulty. The situation is unprecedented, so judges have to answer the question from constitutional first principles. Inevitably in such cases there is room for disagreement as to what the first principles are, and (more intractably) what weight each has as against the others in the particular circumstances of the case. In Miller, the Divisional Court identified the principles as being (1) that the Queen in Parliament may make or unmake any law by way of an Act of Parliament (subject to the primacy of directly applicable and directly effective EU law), (2) that no law is invalid merely by reason of being contrary to the wishes of electors (judgment at , citing A. V. Dicey, An Introduction to the Study of the Law of the Constitution 8th edn (London: Macmillan, 1915), 57 and 72), (3) that the executive, exercising the Royal Prerogative on behalf of the Crown, is entitled to conduct the U.K.’s international relations, and has a very wide discretion when doing so, subject to any limitation imposed by law, including Act of Parliament, (4) that the Royal Prerogative may not be used to take action inconsistent with provision governing the field in an Act of Parliament, and (5) that ‘the Crown cannot through the use of its prerogative powers increase or diminish or dispense with the rights of individuals or companies conferred by common law or statute or change domestic law in any without the intervention of Parliament’ (judgment at ). Principles (1) to (4) are uncontroversial, although I shall argue below that principle (5) is stated unjustifiably broadly; but applying even the uncontroversial principles to the current situation was difficult. The Divisional Court’s judgment runs to 31 pages of careful reasoning, jointly crafted by three of the most eminent and outstanding jurists on the bench, Lord Thomas of Cwmgiedd C.J., Sir Terence Etherton M.R., and Sales L.J. The judgment accepts submissions advanced by counsel of great learning and experience in the field of constitutional law. It deserves both deep respect and careful scrutiny. For various reasons, I find myself unable to agree with the Court’s conclusion, but I understand why their Lordships felt driven to it. In this note, I explain the Court’s reasoning and why I take a different view. The Divisional Court held that the Royal Prerogative to conduct foreign affairs does not, on the facts of the present case, extend to giving formal notice of the U.K.’s intention to leave the EU without first obtaining authority to do so from the Houses of Parliament. Whilst not specified in the judgment, the Court’s reasoning necessarily entails that the authority would have to be conferred by an Act of Parliament. There were essentially two separate but complementary reasons for reaching that conclusion. First, as a matter of statutory interpretation, the Court considered that the European Communities Act 1972 impliedly restricted the Royal Prerogative by making it unlawful for the executive to take steps which would have the inevitable effect, after a period of time, of excluding EU law, including rights conferred by it, from the law of the U.K. Secondly, the Court held that at common law, independently of the terms of the 1972 Act, the Royal Prerogative to conduct foreign relations does not allow the executive to change municipal law so as to deprive people of legal rights which they currently hold, and that serving a notification under Article 50 would have that effect. For both those reasons, statutory authority would be needed before the executive could deliver notification under Article 50. These claims are contestable: see for example Mark Elliott, ‘The High Court’s judgment in Miller: a brief comment’ (Public Law for Everyone, 4 November 2016). Mark Elliott and Hayley Hooper have interrogated the contestable claims in more depth on this blog. This note is complementary to theirs. All parties accepted that a notification under Article 50, once given, cannot be withdrawn (judgment at -). From the perspective of the claimants, this made it easier to argue that the notification would directly affect both municipal law and people’s rights, because Article 50 provides that a notification triggers negotiations which will lead either to a withdrawal agreement or, in the absence of an agreement after two years (or such longer period as may be agreed unanimously by the European Council), to automatic ending of the U.K.’s membership of the EU. If this is correct, giving notice under Article 50 leads inexorably to the loss of EU membership. When that eventuates, EU law would cease to apply in the UK. There would be no need for legislation to repeal the European Communities Act 1972: section 2(1) gives effect to EU rights, etc., in the U.K. so far as the relevant treaties apply to the U.K., and section 2(2) authorises the making of subordinate legislation to give effect in U.K. law to any EU right or obligation. When EU law, including EU rights and obligations, ceases to apply, section 2(1) of the Act ‘would be stripped of any practical effect’ and section 2(2) ‘would in due course inevitably be deprived of any practical application’ (judgment at  and ). The proposition that a notification under Article 50 cannot be withdrawn requires more scrutiny than it received from the Court. The text of Article 50 does not expressly provide for withdrawal of a notification, but neither does it expressly provide that notification may not be withdrawn. Contrary to the position of the parties, the better view of the law is, it is submitted, that a notification may be withdrawn. A number of legally relevant considerations pull in this direction. First, as Professor Paul Craig has pointed out, the Treaty on European Union falls to be interpreted in the light of the Vienna Convention on the Law of Treaties (VCLT). Article 68 of the VCLT provides, ‘a notification or instrument provided for in article 65 or 67 may be revoked at any time before it takes effect’. See Paul Craig, ‘Miller: Winning Battles and Losing Wars’ (OxHRH Blog, 4 November 2016). Secondly, it would be surprising if, following an election, the new government of a Member State were to be unable to withdraw a notification given by the previous government. Being able to withdraw a notification might lead to the inconvenient result that a Member State could negotiate up to the day before the deadline, then, if no agreement acceptable to her had been achieved, withdraw the notification, and give a new notification the next day to start another two-year period of negotiations. But the inconvenience resulting from such behaviour is no more serious than that which would flow if a new government were to be locked irrevocably into its predecessor’s exit strategy. Thirdly, before the Lisbon Treaty, which for the first time inserted Article 50 into the TEU with effect from 2009, a Member State could have initiated negotiations with other Member States with a view to concluding an agreement allowing her to resile from her obligations under the Treaties. No special procedure was laid down for this, so the process would have been governed by general public international law, which allows a party to a treaty, by agreement with the other parties but not otherwise, to relieve itself of a treaty obligation. If the terms for reaching an agreement with other parties turned out to be unacceptable, the Member State which initiated negotiations could have stopped them and remained a Member State. It would be surprising, in my view, if Article 50, by introducing a procedure for giving notice of intention to leave the EU and a timetable for concluding the procedure, has impliedly deprived the negotiating parties of their general right under international law to discontinue negotiations and continue the status quo ante even if they do so within the time-limit for the procedure. It seems to me, therefore, that the Court was wrong as a matter of law to accept the view of the parties to the litigation that notification under Article 50 must be unconditional and, once given, cannot be withdrawn. One can see why the Government was reluctant to argue that an Article 50 notification could be withdrawn. Legally, joining issue on the point might force the Supreme Court to make a reference to the Court of Justice of the EU asking for a preliminary ruling as to whether a notification under Article 50, once given, could be withdrawn. That would delay the case, dislocate the Government’s timetable for giving notice, and (most offensively for Leave supporters, perhaps) seem to put the CJEU rather than U.K. courts and Parliament in the driving seat. Politically, it would also be likely to generate concern if the Government appeared even to contemplate the possibility of aborting the process of leaving the EU once it has been started. If, however, the Government’s concession on the point in Miller was wrong in law, giving such a notification would not lead inexorably to municipal law and vested rights being changed, meaning that the Divisional Court’s judgment was based on a false premise. If that is the case, it would be much harder for the claimants to persuade a court that the Article 50 notification itself, rather than any agreement which might flow from it, directly caused a loss of rights or change of law. The proposition that prerogative powers are not available in a field which has been occupied by statute is uncontroversial: see, for example, Attorney General v. De Keyser’s Royal Hotel  A.C. 508, H.L. Here and elsewhere, however, we need to be on our guard against taking at face value general statements of principle and applying them in circumstances unrelated to the legal issue in relation to which they were articulated. In Miller, the issue was whether statute had, indeed, colonised the field of foreign affairs in relation to the U.K.’s relationship with the EU. The Divisional Court held that it had. In particular, the European Communities Act 1972, passed specifically to require EU law and judgments of the CJEU (as it now is) to have effect in U.K. law, impliedly excluded the use of the prerogative to take steps which are inconsistent with EU law and judgments of the CJEU having that effect. On the assumption that a notification under Article 50 TEU would be irrevocable, such notification would be inconsistent with the purpose of the 1972 Act and therefore would be outside the prerogative power of the Crown (although it could be authorised by a new statute). The Court’s interpretation of the 1972 Act merits careful analysis. The Court began (at ) by observing that the Act is a constitutional statute. The idea that there is a category of ‘constitutional legislation’ first became legally significant in Thoburn v. Sunderland City Council  EWHC 195 (Admin),  Q.B. 151, D.C. In that case, the Weights and Measures Act 1985 required products including greengroceries to be sold in weights measured in pounds and ounces. An EU Directive subsequently required the use of kilograms and grams, and the U.K.’s Government gave effect to the Directive by way of a statutory instrument made under the power conferred by the European Communities Act 1972, section 2(2). Under the statutory instrument, it became an offence to use pounds and ounces for sale of goods. Street traders in Sunderland (the ‘Metric Martyrs’) refused to stop using pounds and ounces, and were prosecuted. In their defence, they argued that the statutory instrument was invalid, because the Weights and Measures Act 1985 had impliedly limited the scope of the power to make inconsistent legislation by way of statutory instrument under section 2(2) of the 1972 Act. Laws L.J. rejected this argument partly on the ground that the 1972 Act, unlike the 1985 Act, was to be regarded by the common law as a ‘constitutional statute’, because it brought into effect in municipal law a very significant raft of rights which its people in the U.K. could assert against governmental interference. As a ‘constitutional’ provision, section 2(2) could not be amended or repealed except by express and unequivocal provisions in, or necessary implication from, an Act of Parliament. There was no such express provision in, or necessary implication from, the terms of the 1985 Act. Until the Divisional Court’s judgment in Miller, the effect of deciding that a statutory provision was ‘constitutional’ was not to affect the way in which that provision itself would be interpreted, but (as in Thoburn itself) rather to affect the way in which later legislation would be interpreted if it threatens to produce an effect inconsistent with that of the earlier, constitutional provision. If one or other needs to be read down to avoid a clash, the later, non-constitutional provision will be read down to preserve the effect of the earlier, constitutional provision. This forms an exception to the usual interpretative presumption, founded on the continuing legislative supremacy of Parliament, that a later statute takes precedence over an earlier one. (See David Feldman, ‘The nature and significance of “constitutional” legislation’ (2013) 129 L.Q.R. 343-358, and id., ‘Statutory interpretation and constitutional legislation’ (2014) 130 L.Q.R. 473-497.) In R. (Buckinghamshire County Council) v. Secretary of State for Transport (HS2)  UKSC 3,  1 W.L.R. 324, S.C., a question was raised obiter about what might happen if a ‘constitutional’ provision threatened to produce a result inconsistent with the result produced by an earlier ‘constitutional’ statute. It was suggested that the interpreter would have to decide which ‘constitutional’ provision carried greater weight, perhaps in terms of its support for weighty constitutional principles, in the circumstances of the case, with the weightier (which might or might not be the later) prevailing over the less weighty (whether weighed in kilograms or pounds): per Lord Neuberger of Abbotsbury P.S.C. and Lord Mance J.S.C. at -. In Miller, the Divisional Court developed a slightly different consequence of a provision’s being regarded as ‘constitutional’. Even if no clash is threatened between an earlier and a later statute, a provision will be regarded as being particularly powerful if it supports strong constitutional principles (at ). This was said to flow from well-established interpretative presumptions about what Parliament ‘intends’ when it legislates. The ‘intention’ here is, in reality, a reflection of the background constitutional principles, and relates to what interpreters will bring to a statute rather than what the maker of the statute (in this case, the Queen in Parliament) might or might not actually have intended: see Feldman, ‘Statutory interpretation and constitutional legislation’, above. ‘One reads the text of the statute in the light of constitutional principle.’ (Miller, judgment at .) The Secretary of State argued that the 1972 Act did not expressly or by necessary implication limit the Crown’s prerogative power to conduct international relations. The Court considered (at ) that this ‘gave no value to the usual constitutional principle that, unless Parliament legislates to the contrary, the Crown should not have power to vary the law of the land by the exercise of its prerogative powers’. As a matter of interpretation, it is uncontroversial that statutes are to be read in the light of background constitutional principles. One of those principles is that the prerogative ought not to be exercised in a manner inconsistent with an Act of Parliament which occupies the same field as the prerogative. It is also uncontroversial that an Act of Parliament is normally to be repealed only by another Act of Parliament. As Lord Browne-Wilkinson wrote in R. v. Secretary of State for the Home Department, ex parte Fire Brigades Union  2 A.C. 513, 552, in a passage which the Divisional Court quoted at , ‘The constitutional history of this country is the history of the prerogative powers of the Crown being made subject to the overriding powers of the democratically elected legislature as the sovereign body.’ This principle, or principled trend, which has been progressing slowly for at least 400 years, depends upon an Act of Parliament having effectively legislated for the field in question and excluded any space for the Royal Prerogative. In Miller, the Court read the European Communities Act 1972 as having done so in respect of the use of the prerogative to initiate the process of withdrawing from the EU. Secondly, the Court relied on the side-heading to section 2 of the Act, ‘General implementation of Treaties’, which is said to show that the purpose of the Act is that the Treaties be implemented. ‘It is inconsistent with that specific declared statutory objective that the Crown should have power under its prerogative to remove the United Kingdom from those treaties so that they cannot be implemented.’ This places excessive weight on a side-heading, the content of which is, like the long title, descriptive not prescriptive, which cannot be subject of a motion to amend it during the passage of a Bill, and which is not generally regarded as much of a guide to interpreting the provision in question (let alone the Act as a whole): see Bell and Engle, above, 132-133. Thirdly, the Court rejected the Secretary of State’s submission that section 2(1) of the Act is expressly ‘limited to those rights, powers, liabilities, obligations and restrictions from time to time created or arising by or under the Treaties … as in accordance with the Treaties are without further enactment to be given legal effect or used in the United Kingdom …’, and therefore leaves open the possibility that those rights, etc., under the Treaties will subsequently cease to be given legal effect by virtue of changes to the Treaties on the international plane. The Court asserted, ‘There is nothing in the constitutional background to warrant reading the words in that way.’ The constitutional background here seems to refer to matters discussed in paragraphs  to  of the judgment: (a) the strong tradition against allowing the Crown to alter the law of the land by prerogative action; (b) the profundity of the change which the 1972 Act introduced, which led the Court to write at , ‘Parliament having taken the major step of switching on the direct effect of EU law in the national legal systems by passing the ECA 1972 as primary legislation, it is not plausible to suppose that it intended that the Crown should be able by its own unilateral action under its prerogative powers to switch it off again’; and (c) the status of the Act as a ‘constitutional’ statute. In relation to the last point, however, the Court overstated the relevance of the Acts status to its interpretation. The Court wrote at , ‘Since in enacting the ECA 1972 as a statute of major constitutional importance Parliament has indicated that it should be exempt from casual implied repeal by Parliament itself, still less can it be thought to be likely that Parliament nonetheless intended that its legal effects could be removed by the Crown the use of its prerogative powers.’ With respect, this mis-states the process by which a statute comes to be regarded as ‘constitutional’. As Laws L.J. made clear in Thoburn, a statutory provision is constitutional not because the legislature intended it to have that status (which in any case had not been recognized in law when the 1972 Act was passing through Parliament) but because the common law confers that status on it. In other words, constitutional status is the result of what Parliament enacts, not an aspect of Parliament’s ‘intention’ in enacting it. The problem with the Court’s interpretative approach to section 2(1) of the 1972 Act, then, is that it relies on indications as to the proper meaning of the provision which are not normally regarded as sound guides to interpretation. The constitutional principles on which the Court relies have weight, but to start from the assumption that, in the context of the case, the greatest weight attaches to those favouring the limiting of the prerogative is to attempt to pull oneself up by one’s bootstraps; the reasoning assumes the outcome. The same problem seems to me to arise in connection with the Court’s fourth consideration, namely that the words ‘enforceable EU right’ in section 2(1) indicates that Parliament ‘intended’ that the right should continue to be enforceable. In reality, any such ‘intention’ is expressed extremely obliquely, if at all. Similar considerations arise in connection with the Court’s fifth and sixth considerations, namely that the power to give effect to EU law, having regard to ‘the objects of the EU’, by making subordinate legislation under section 2(2) ‘indicates that Parliament believed and intended that it was legislating to give effect to EU law in domestic law and that the effect of its legislation should not be capable of being undone by the Crown through the exercise of its prerogative powers’ (at ). The first part of that quotation is unexceptionable (save for the unfortunate use of the solecism ‘believed and intended’), but the second part does not follow necessarily from the first unless one assumes the answer to the question which the Court had to address. The truth is that the passage of the European Communities Act 1972, a measure introduced by the Conservative Government of Mr Edward Heath, was politically contentious and hard-fought, and came close to defeat in the Commons (although its passage through the Lords was straightforward): see Philip Norton, ‘Divided loyalties: the European Communities Act 1972’, in Philip Norton (ed. ), A Century of Constitutional Reform (London: Wiley-Blackwell for The Parliamentary History Yearbook Trust, 2011), 53-64 at 56-59. The idea that there was a parliamentary ‘intention’ that the executive should be unable to reverse the effect of the Act is ahistorical; indeed, in 1975 the Labour Government of Mr Harold Wilson held a referendum on the U.K.’s continuing membership. As a matter of historical fact, there has never been a time when the future of the U.K.’s membership of the Communities or, later, Union has been as settled as the notion of Parliament’s ‘intention’ and ‘belief’ on which the Court relied would seem to imply. Similar remarks are applicable to the Court’s seventh consideration, namely that section 3 of the Act contemplates continuing acceptance of judgments of the European Court of Justice (now the Court of Justice of the European Union). This, I think, is a strong point, as far as it goes. It might be said against it that the giving of notification under Article 50 of the TEU does not itself unmake EU rights. It only initiates a process that may lead to the loss of rights in the U.K., or deprive British citizens of the opportunity to exercise rights in other Member States. The extent of any such loss would depend on the outcome of negotiations with between the U.K. and the European Council. As the Court pointed out, however, if (as it accepted) the Article 50 process is unstoppable once it starts, British citizens will inevitably at some point lose the right to vote or to stand in elections for the European Parliament and to seek rulings from the CJEU: see at  to . There is thus a direct link between notification under Article 50 using the prerogative power to conduct foreign relations and at least some change in the rights available in domestic law in the U.K. to people who are currently EU citizens in the U.K. and other Member States. How far does this take us? It is unhelpful if, as argued above, an Article 50 notification is revocable. Even if notification is, in law, irrevocable, this consideration standing alone (and I have given my reasons for not accepting that any of the other factors on which the Court relied persuade me that the 1972 Act affected the foreign affairs prerogative in any way) seems to me to be insufficiently weighty to support the conclusion that the Act itself has restricted the prerogative. Other factors weigh against the implication of a restriction on using the foreign relations prerogative to start the process of withdrawing from the EU. First, legislation which expressly limits the exercise of the prerogative in relation to the EU, including section 6 of the European Communities (Amendment) Act 2008 and sections 2 to 4 of the European Union Act 2011 limiting the use of the prerogative to extend the application of EU law in the U.K., seems, by implication, to accept that the prerogative may be used in relation to the EU in circumstances where it is not expressly limited. The authorisation of a referendum by the European Union Referendum Act 2015 says nothing about the process to be followed in the event of a majority vote for leaving the EU, but by implication it shows legislative contemplation of such an eventuality leading to withdrawal and so offsets, to some extent, any implication that the U.K. will remain in the EU drawn from the terms of the European Communities Act 1972. None of these pieces of legislation provides clear support either way, but by sending mixed messages (similar to the mixed messages coming from the political history of the U.K.’s relationship with the EU) they seem to me to cast doubt on the Court’s view that ‘the clear and necessary implication from these provisions [of the 1972 Act] taken separately and cumulatively is that Parliament intended EU rights to have effect in domestic law and that this effect should not be capable of being undone or overridden by action taken by the Crown in exercise of its prerogative powers’ (judgment at ). In my view, if the prerogative may be used in ways which change domestic law and affect rights which people have in domestic law, the 1972 Act does not change that position. We must therefore turn to consider whether the prerogative may be used to have that effect independently of any implication to be drawn from the 1972 Act. We can distinguish between two claims which seem central to the Court’s reasoning: first, that the prerogative generally cannot be used to take away people’s legal rights; secondly, that the foreign affairs prerogative cannot affect domestic law in the U.K. in the absence of legislation to give effect to change. Whilst the Court’s judgment tends to run these two claims together, analysis shows that they are distinct, and that each is correct only within certain limits. Taking first the ability of the prerogative in general to affect people’s legal rights, the books contain numerous examples of the prerogative being used to extinguish people’s rights. The use of the prerogative in relation to the government of colonies and dependent territories can lead to people’s fundamental rights being extinguished, at any rate if the majority judgment of the House of Lords in R. (Bancoult) v. Secretary of State for Foreign and Commonwealth Affairs  UKHL 61,  A.C. 453, H.L., was correctly decided: it was held that the Government had acted lawfully in coercively removing the inhabitants of the Chagos Islands from their habitations, to foster good relations with the U.S.A. and advance U.S. strategic military policy, and transplanting them to other countries, including Mauritius, pursuant to international agreements with those countries. The judgment remains controversial, but while it stands it cannot be seriously argued that the prerogative cannot be used to deprive people of fundamental rights. Similarly the war and defence prerogatives can be used to deprive people, including British subjects, of property or interfere with their use of property abroad, and except so far as statute has restricted it also in the U.K. This is clear from Attorney General v. De Keyser’s Royal Hotel  A.C. 508, H.L. The Court in Miller at  cited that case correctly for the proposition that, when statute deals with a field, the prerogative is supplanted; but the Court did not go on to note that it is clear from the speeches in De Keyser that, in the absence of statute occupying the field, the prerogative operates. The House of Lords similarly held, correctly, in Burmah Oil Company (Burma Trading) Ltd v. Lord Advocate  A.C. 75, H.L., that the prerogative power to conduct warfare included a power to seize and destroy property for military purposes in wartime. The House decided that the prerogative power carried with it an obligation to provide compensation to the owner of property for the loss (a conclusion subsequently, controversially and retrospectively overturned by statute in the War Damage Act 1965), but there is no doubt that the prerogative was available to take property in the first place. In Miller, the Court cites a dictum of Lord Reid in Burmah Oil at 101 to the effect that the prerogative is ‘really a relic of a past age, not lost by disuse but only available for a case not covered by statute’ (see judgment in Miller at ), but does not take note of the significance of the actual decision in the case. It may be correct to say that the prerogative, or at any rate the foreign affairs and war prerogatives, can no longer be used to confer legally enforceable rights on people (although at one time it could be used to grant monopolies, and even today it can confer peerages which give a right to receive a writ of summons to each new Parliament), but the claim that the prerogative cannot be used to deprive people of rights, either absolutely or conditionally, is untenable as a matter of law. In Laker Airways Ltd v. Department of Trade  Q.B. 643, C.A., the Court of Appeal held that the Crown could not use its foreign relations prerogative to make an arrangement with the U.S.A. under the relevant treaty to cancel the company’s designation as an approved carrier of passengers between London and New York once that status had been granted under the U.K.’s legislation on licensing air carriers. The Court of Appeal held that the legislation should be read as having excluded the use of the prerogative in such a way as to frustrate the designation under the statute. The Divisional Court in Miller at  to  treated this as an authority for the proposition that the prerogative could not deprive people of rights under domestic law, but this clearly depends on the relevant legislation. If, as suggested above, the European Communities Act 1972 cannot be read as impliedly restricting the foreign affairs prerogative so as to prevent the Crown from initiating a procedure for withdrawing from the EU, Laker Airways does not support the Court’s judgment. It is clear from the Bill of Rights 1689 that the prerogative could not be used to suspend Acts of Parliament or dispense individuals from the effects of them, but that is a narrower proposition. When the Privy Council in The Zamora  2 A.C. 77 at 90 wrote, ‘No one would contend that the prerogative power involves any power to prescribe or alter the law administered in Courts of Common Law or Equity’, cited in Miller at , the question in the case was whether Order xxix of the Prize Court Rules, made under the war prerogative, could require the Prize Court, as a matter of law, to order that a cargo of illicit copper found on board a neutral vessel seized during a blockade of a port be transferred to the Crown. The Privy Council held that the Rule could not compel the result as a matter of law, though it could make certain factual assertions evidentially incontestable. The point was that the prerogative legislation could only authorise the requisition of property if the property could be requisitioned under the Crown’s prerogative at common law. Outside that area, the legislation might provide evidence of a state of affairs which would bring the prerogative into action, but could not extend its scope. This is a case where the dictum is relevant to the judgment in the case and is a useful authority in support of the proposition. But it would be misleading to overstate the extent of this principle. The Crown may, by legislation under the prerogative, alter domestic law in the legal systems of the U.K. when doing so is not inconsistent with an Act of Parliament which occupies the juridical space. So much is clear from Council of Civil Service Unions v. Minister for the Civil Service  A.C. 374, H.L. An Order in Council under the Royal Prerogative, the Civil Service Order in Council 1982, authorised the responsible Minister to give instructions concerning conduct and conditions of service of civil servants. The Minister for the Civil Service (the Prime Minister, Mrs Thatcher) gave instructions pursuant to the Order that civil servants at Government Communications Headquarters (GCHQ), part of the Intelligence Service, were not to be permitted to join trade unions. This was a change to the law depriving workers at GCHQ of a freedom which they had previously had. A challenge to the instruction was brought arguing that there was a legitimate expectation that terms and conditions of service at GCHQ would not be changed without consultation with the workers and their unions, and that this legitimate expectation had been improperly breached. The House of Lords accepted that the exercise of a power under prerogative Order could be challenged on the ground of breach of a legitimate expectation, although they held that the Minister had been justified in not complying with the expectation in view of the risk to national security from industrial action had the workers been notified before the instruction had been given. But it was not suggested that the Royal Prerogative could not give to the Minister a power to deprive workers of a right which they had previously enjoyed. This shows, it is submitted, that prerogative powers can be used to change domestic law in the U.K. if the power genuinely is part of the prerogative and if the change is not inconsistent with the requirements of an Act of Parliament which occupies the field in question. The Court in Miller relied on the judgment of the Divisional Court in R. v. Secretary of State for Foreign and Commonwealth Affairs, ex parte Rees-Mogg  Q.B. 552, D.C. In that case, the plaintiff sought to prevent the Secretary of State from exercising the foreign affairs prerogative to ratify the Protocol on Social Policy as an addition to the EC Treaty. The Divisional Court held that the matter was within the scope of the foreign affairs prerogative. The Court in Miller pointed out that the Divisional Court in Rees-Mogg stressed that ratifying the Protocol would not have affected the law in the U.K., because it did not apply to the U.K. This, the Court thought, was the key point, supporting its view that the exercise of the foreign affairs prerogative could not be used so as to change domestic law. However, Rees-Mogg is at best an ambiguous authority on this point. The question in each case is whether the whether the scope of the prerogative has been limited by Act of Parliament expressly or by necessary implication. The Divisional Court in Miller pointed to R. v. Secretary of State for the Home Department, ex parte Fire Brigades Union, to support the proposition that a statute occupying the field always deprives the Crown of the use of its prerogative in that field. The Fire Brigades Union case, however, depended on very particular facts. The Secretary of State had introduced to Parliament a Bill which, among other measures, would have replaced the prerogative-based Criminal Injuries Compensation Scheme which offered full compensation for losses from criminal injuries with a tariff-based scheme which would usually have offered less than full compensation. This provision had been defeated in Parliament, where an amendment had been passed against the Government requiring a statutory scheme to be made which maintained the principle of loss-based compensation. This became part of the Act, but was not to come into force until a date specified by the Secretary of State in a commencement order. The Home Secretary declined to make a commencement order, and instead sought to use the prerogative to replace the prerogative-based scheme with another which worked on the footing of a tariff of payments rather than full compensation for losses. In those circumstances, there was no doubt that the statute had directly occupied the ground and was inconsistent with the terms of the Act as passed. On that basis, a majority of the House of Lords held that the provisions of the Act, even if they were not yet a source of directly enforceable law, were nevertheless sufficiently law-like to make the use of the prerogative for an inconsistent purpose an abuse of power. The question in Miller was therefore, at root, whether the terms of the European Communities Act 1972 by necessary implication excluded the use of the Royal Prerogative to initiate a process which might, or in the view of the parties would, lead to the removal of EU rights from the domestic legal systems. The Court thought that the relevant constitutional principles meant that the onus was on the Secretary of State to show statutory authority for initiating the Article 50 process. I have argued that this was mistaken, and that there is no constitutional or interpretative principle which requires the 1972 Act to be read as excluding this prerogative power. The implications to be drawn from the Act are, at best, equivocal. In my submission, the foreign affairs prerogative is not excluded by statute, and requires no special statutory support for its use. Initially I thought that my view was self-evidently correct. The judgment of the Divisional Court shows that it is a matter on which informed opinions can differ. We must await the judgment of the Supreme Court with interest, and hope that scurrilous abuse of judges by politicians and journalists in the meantime does not leave the judiciary in a position where judges feel unable to entertain the appeal because of ill-founded suggestions of bias or prejudice. I am grateful to my colleagues Professor Mark Elliott and Dr Hayley Hooper for their helpful comments on a draft of this note. David Feldman is Rouse Ball Professor of English Law, University of Cambridge, and a Fellow of Downing College, Cambridge. No-one (and that includes the Claimants etc and the AG) seems to be picking up on the knock-out point that the Prerogative was abrogated to Parliament when Queen’s Consent was sought and obtained for all EU treaty bills, but not for either of the 1975 or the 2015 Referendum. We shall see what the SC make of the argument that HMG has never had use of the Prerogative. The SC only has to consider Domestic law, because it will otherwise be compelled to refer the matter to CJEU immediately, and that is going to bring on a veritable firestorm. 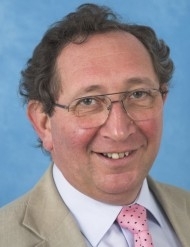 Professor Feldman states “The question in Miller was therefore, at root, whether the terms of the European Communities Act 1972 by necessary implication excluded the use of the Royal Prerogative to initiate a process which might, or in the view of the parties would, lead to the removal of EU rights from the domestic legal systems”. The second question addressed in Miller, at -, was whether – “as a matter of statutory interpretation of the 2015 Referendum Act” – the referendum was “advisory” [sic]. 1. the 2015 Act did not supply “a statutory power for the Crown to give notice under Article 50” at . 2. The “Act falls to be interpreted in light of the basic constitutional principles of parliamentary sovereignty and representative parliamentary democracy” at . 3. These principles “lead to the conclusion that a referendum on any topic can only be advisory for the lawmakers in Parliament unless very clear language to the contrary is used in the referendum legislation in question” at . 4. “No such language is used in the 2015 Referendum Act” at . 5. The “2015 Referendum Act was passed against a background including a clear briefing paper to parliamentarians explaining that the referendum would have advisory effect only” at . 6. “Parliament must have appreciated that the referendum was intended only to be advisory as the result of a vote in the referendum in favour of leaving the European Union would inevitably leave for future decision many important questions relating to the legal implementation of withdrawal from the European Union” at . If this novel presumption is approved by the Supreme Court, the effect would be, I contend, to fatally undermine the constitutional legitimacy of all future UK referenda because it would very significantly reduce turnout. It is also arguably contrary to the authority of Pepper v Hart  AC 593, which was binding on the Divisional Court unless distinguished, that weight should only be given to clear uncorrected statements by Government or other, Bill proposers prior to royal Assent (which a “a clear briefing paper to parliamentarians” manifestly is not). The Bill’s government proposers clearly stated the Bill was intended to provide for a “decision”. Feldman’s argument leads to the conclusions (i) that there is and has been since at least the 1610 Case of Proclamations a rule of law that the royal prerogative may not in normal circumstances be used to deprive citizens of rights given them by earlier statutes, however unimportant that statute may be to the bulk of the population, but (ii) that the prerogative can nevertheless be used, conceivably on a passing whim of a minority government, to nullify the ECA 1972, notwithstanding its fundamental importance to the UK as a whole and in the lives of just about every UK citizen, because of the particular way the ECA was drafted and how it bestows EU-derived rights on the citizens. To this, the officious bystander can only say: “But that is completely absurd”. It must follow that the premises on which Feldman bases his argument are wrong, or that his reasoning is wrong, or that the law is wrong. If it is the last (and that may be so, I quite accept) then let us hope the Supreme Court will restate the law in terms that both make better sense, and accord with the general consensus that the royal prerogative is a relic from times that denied the supremacy of Parliament and that its use should be confined to the absolute minimum needed for effective government. But it is nothing like a whim, it is on the basis of a referendum, agreed to by Parliament. As observed by Sean Feaney above, the proposers of the Referendum Bill stated explicitly – see Hammond especially opening the Debate on the Second Reading – that the decision was to be made by the British people, and not by Parliament. But what Philip Hammond said when proposing the Bill is neither here nor there. When construing legislation, referring back to the debate on a Bill is very much a last resort, and only available to try to resolve a crucial ambiguity in the actual wording of the resulting legislation. Even that may not be decisive if the wording is considered to be clear enough notwithstanding that its meaning is inconsistent with what may have apparently been intended. The Referendum Act 2015 contained absolutely no relevant wording at all, so the normal presumption that the result was to be purely advisory holds. Moreover, despite Philip Hammond’s remark, Alec Salmond’s amendment to insert a minimum threshold (a percentage of the total electorate voting for Leave – and what a difference that would have made) before the result should be treated as binding was said to be inapt – by a Minister speaking on behalf of the Government – because the result would not be binding anyway, whatever the turnout. If the Government spokesmen were inconsistent, no court should be expected to prefer one over the other, and should ignore both. ‘impliedly’? Do you mean ‘implicitly’?! This entry was posted on November 8, 2016 by Constitutional Law Group in Europe, European Union, International law, Judicial review, UK government, UK Parliament and tagged Article 50 TEU, Brexit, Brexit judgment, De Keyser, European Communities Act 1972, foreign affairs, HS2, Miller v Secretary of State for Exiting the European Union, Parliamentary sovereignty, prerogative powers, Royal Prerogative, Thoburn, UK EU Referendum, Vienna Convention on the Law of Treaties.